Anthropomorphic animals killing each other is a pretty popular theme for media. We’ve got The Secret of NIMH, the Redwall series of books, and now we’ve got Root: A Game of Woodland Might and Right, a game about different animal kingdoms trying to kill each other. Aww, they think they’re people. In all seriousness though, Root is a game where players take control of one of four different animal factions and must scratch, claw and fight their way to victory for control. As either the Marquise de Cat, the Eerie Dynasty, the Woodland Alliance or the Vagabond, you must build and fight your way across the forest to further your faction’s agenda and come out as the ruler of the woodland. Root is mainly a point race between the different factions, all of which have their own distinct playstyles. The Marquise de Cat start the game already in power, so they have to try and strengthen their control and protect their settlements through military power and industry. The Eerie Dynasty are similarly focused on the military but start out with a very small portion of the map under their influence, and they must resist the power of the Marquise to try and wrestle control back. The final two available factions in Root are slightly special. The Woodland Alliance lacks the raw power of the other two strong factions, but they can rely on the support of the common animals to score points and eventually incite a violent revolt. 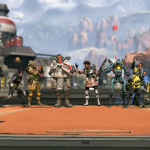 Finally, the Vagabond is a single character who wins by playing off the other factions against each other, and they can even make a coalition with one of them if it suits them. There is a lot more nuance to each of the factions in Root than the simple examples given above, but they should be enough to give you an idea of how different each faction works. 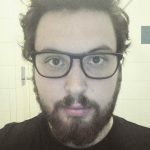 It should also demonstrate that Root is not simply a game about trying to win through military might or straight control but is instead a complex game of conflict between factions with differing ideologies. When you first start out in Root, it’s likely that people in control of certain factions may feel like the balance of power is against them. The Marquise de Cat start out with control of almost every single area of the board, meaning that playing as any other faction feels a little unfair. The important thing to remember is that not all the factions have the same goals; therefore, all score in different ways. Regardless of how you score, all any player has to do is get to 30 points. Even if certain factions have an advantage early on, the balance of power can shift in almost any direction if you play your cards right…literally. 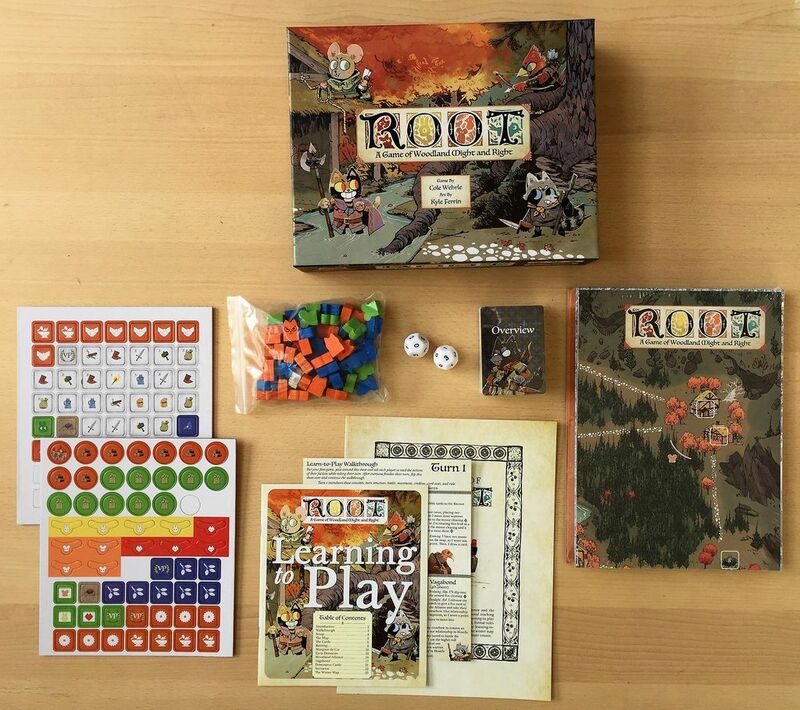 Despite its complexity, Root is also pretty easy to learn, no matter how many players are involved. The designers supplied new players with 3 different ways of learning the ropes: You can read ‘The Law of Root’, which is a book covering the rules in detail, you can follow a starter guide that leads you through the basics, or you can follow a direct walkthrough that takes you through everything from setup to your first two or so turns. The cards in the game are also pretty simple to understand, having at most a sentence or two of text on them. They all impart information through simple, easy-to-recognize symbols, using a suit system similar to regular cards that is also reflected on other aspects, like the board and the faction tiles. Once you understand that the different symbols are used to define a huge portion of what goes on in the game, understanding new elements or how the different mechanics work becomes pretty intuitive. Root also has a varied map that provides a nice amount of variety and challenge to the game. The board has a winter side that randomizes the suites in which each space falls under, and it also provides a slightly different layout thanks to the seasonal appearance of the great river. It also looks a lot different than the main map, containing primarily whites and blues instead of orange and yellows. Despite all of the positives, the game does have its weaknesses. While it is possible to play the game with two players, it is certainly better with at least three or four players. 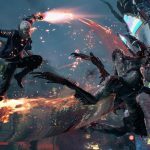 With two players the conflict is a little one-sided, and it can also be difficult to figure out how the factions are supposed to work properly, something that the game doesn’t do the best job of making clear. 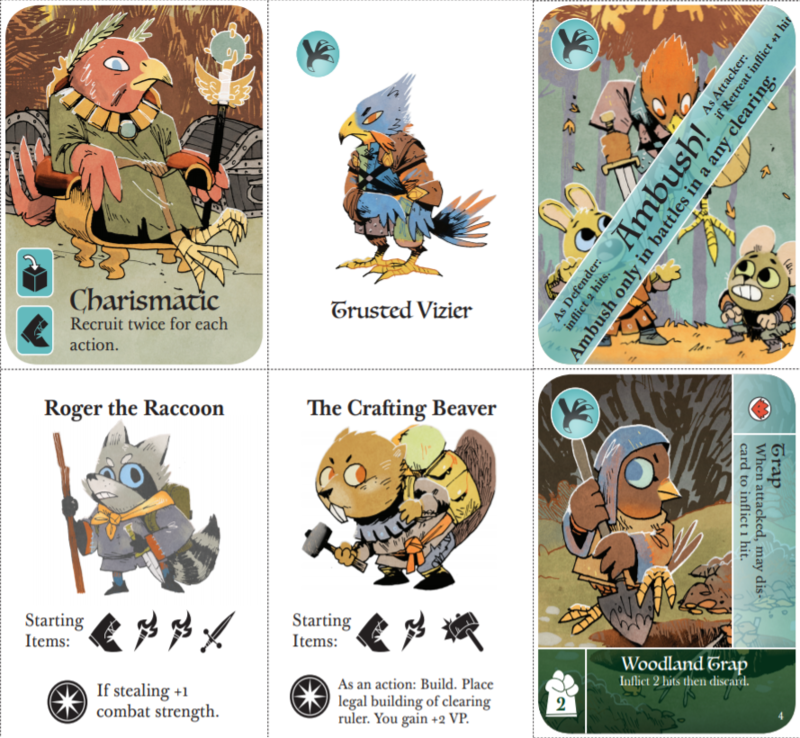 Regardless of any problems the game might present, Root: A Game of Woodland Might and Right is a stunning game with stunning artwork and is surprisingly easy to get into for a game about cute woodland animals murdering each other. 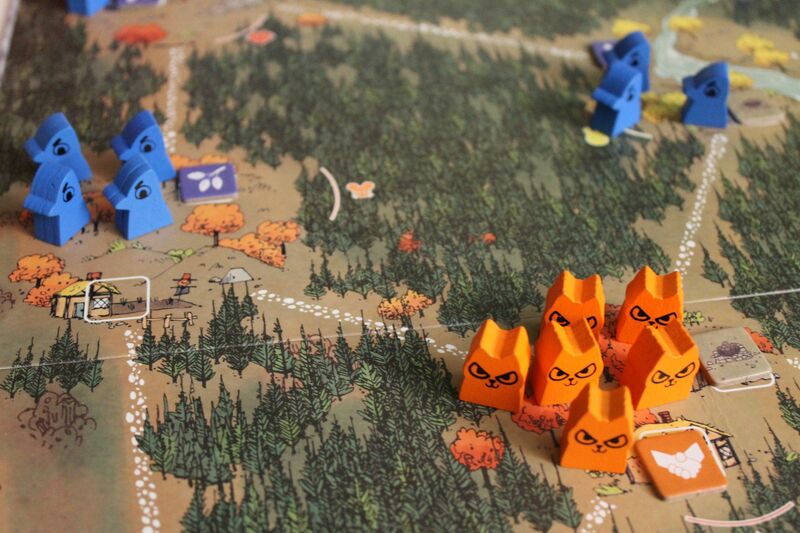 Root ends up being the sort of game that is fun to sit down and play with as many friends as possible, no matter which woodland cabal you personally ascribe to. 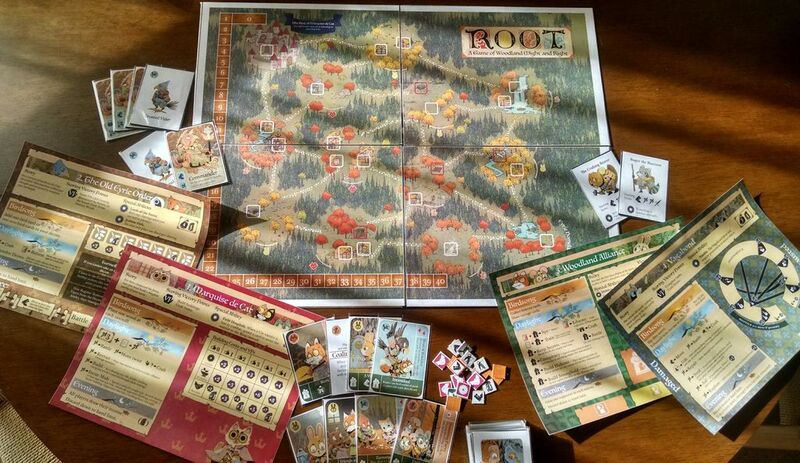 For more games like Root: A Woodland Game of Might and Right visit Asmodee or find your nearest games store. 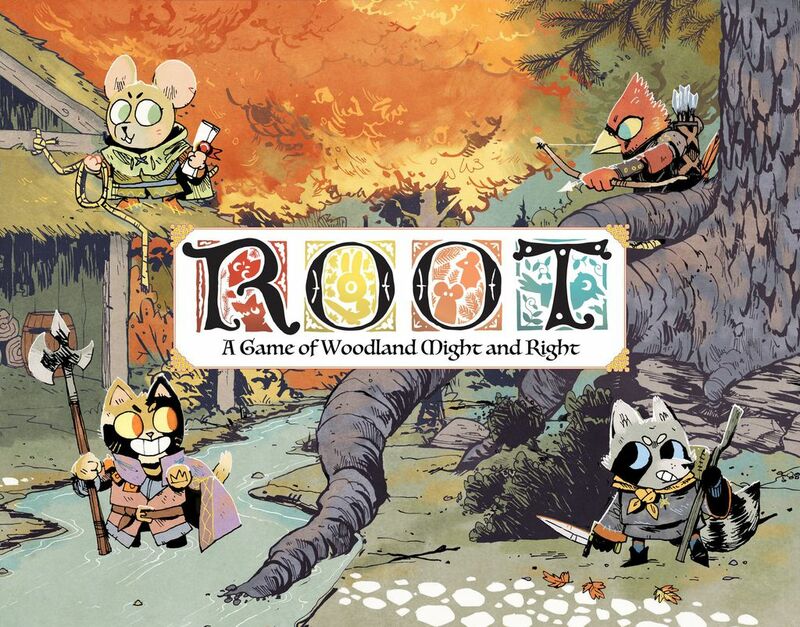 Root: A Woodland Game of Might and Right is a great game about trying to gain control of a forest by fighting tooth and claw, whether it's through physical combat or subverting your enemies' agenda by winning sympathy from the common people (animals?). The artwork has a pretty cutesy style that is juxtaposed with the very violent nature of the gameplay, and although the game has its issues with only two players, it's never been more fun than to go to war against three of your friends.